Yes!! 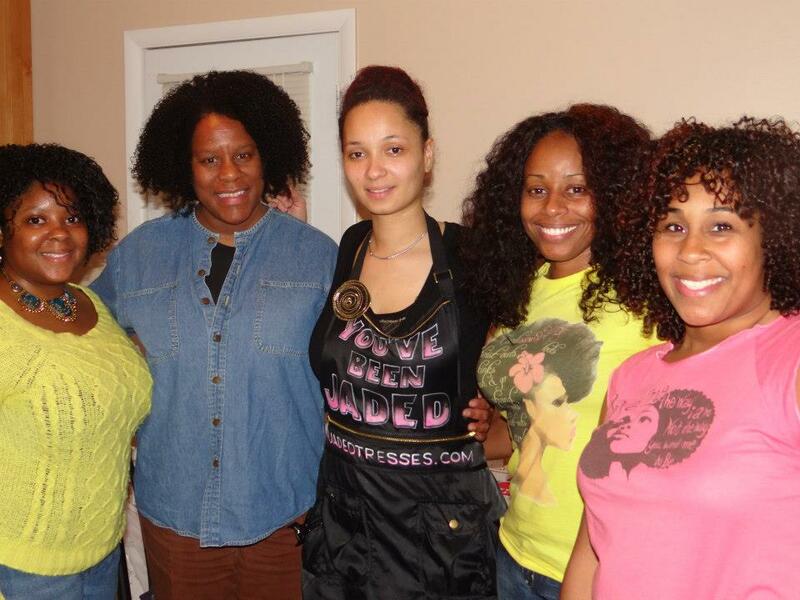 We had another haircut party with Tameeka McNeil-Johnson aka Jaded Tresses. This time, it was at the house of Tiffany’s twin sister, Trina (not pictured). So, I’m a little delayed with this post because the pics I took with my iPhone were pretty crappy and I needed Tiffany to hook me up with quality pics from her good camera!! (No more being lazy and not taking out the real camera for me ;)). Anywho, there was a gaggle of ladies, some there for services, others just to partake in the festivities, observe and learn. And, on a side note, I brought the Cream and Coco Curls for Days Hair Pudding and the Mizani True Textures Leave-in and Jelly for styling. I wanted to see how they worked on a WnG. Tameeka played around with both products and got better definition and less frizz on the side done with … surprise, surprise … the lightweight and creamy C&C Hair Pudding! But, get this, with everyone else, she used her own concoction of Eco Styler Crystal gel mixed with lots of water, coconut oil and a few drops of lavender essential oil!! And look at those results!! I’m definitely going to have to try that combo the next time I do a WnG … or maybe even a twist or braid out!! It was gifted to me by Connie at Curlisious.com this past summer and I am long overdue sharing it!! 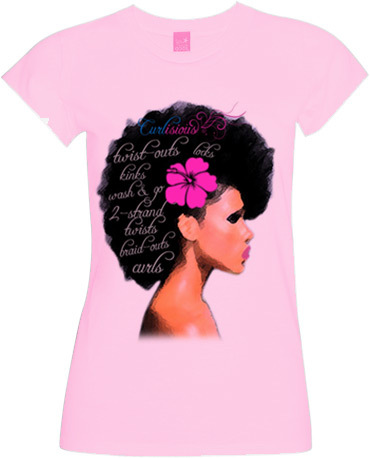 It comes in three colors (white, pink, and yellow) at $25 a pop!! Pretty HAWT, right?!? And stay tuned, because a Jaded Tresses Giveaway announcement is coming very soon!! Duh … duh … DUHHHHHH!!!!! Everyone’s hair ALWAYS comes out so nice when Tameeka gets her hands on it! Looks like you ladies had a great time! That t-shirt is soooooo cute! I want to get jaded something awful!!!! Everyone’s hair came out so beautiful and I loved Tiffany’s color. You guys are so lucky!! !